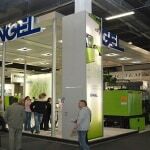 At Plastpol 2019, from 28th to 31st May in Kielce, Poland, Engel Austria will be showing how the smallest batch sizes can be efficiently and economically realised in injection moulding with two applications. The system expert, headquartered in Austria, is presenting a highly integrated, assistance-supported production cell, a fully automated solution for the very fast switch of mould inserts. In a second live presentation, Engel will be demonstrating how economical IML concepts can also be implemented for smaller numbers with one-shot production of ready-for-sale bucket lids. A third exhibit is a particularly compact servohydraulic injection moulding machine, which proves that Engel can combine top efficiency with performance and precision in multi-component processes using elastomers and thermoplastics. "Poland is currently Europe's growth champion," as Piotr Nachilo, Managing Director of Warsaw-based Engel Polska explains. According to the Polish Statistics Office, economic output rose by 5.1 percent in real terms last year. "The country is at the forefront of an economic boom that has reached all of Eastern Central Europe in the past two years," Nachilo continues. The economic boom in the country is ensuring a good mood in the run-up to the fair. With its focus on small batch sizes, Engel is picking up an important trend at Plastpol 2019. In many areas, the number of variants is increasing while batch sizes are falling. Examples include consumer goods such as writing instruments, technical parts in the automotive and electrical sectors, but also a range of medical technology products. 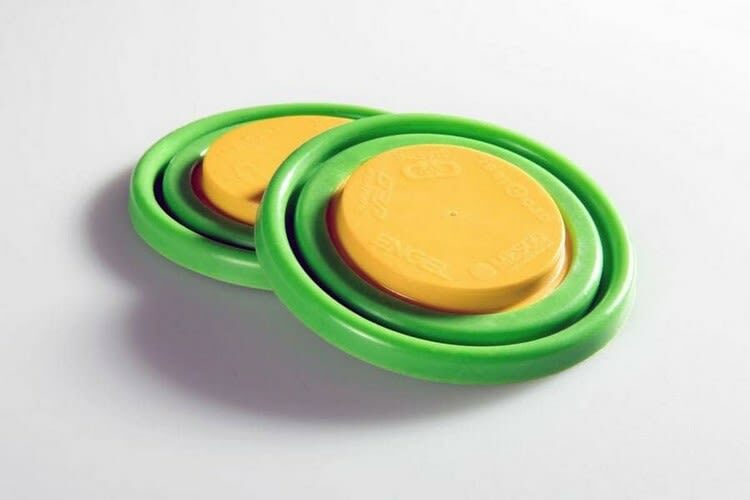 Moulds with interchangeable inserts are often used in injection moulding in order to be able to cover a high number of variants in a cost-effective way. 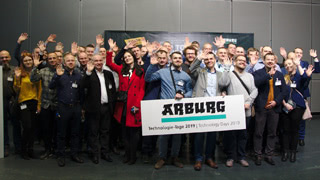 With this trade fair exhibit, Engel is taking the principle a step even further in collaboration with Braunform (Bahlingen, Germany) and other system partners. The system solution presented here supports the fully automated exchange of mould inserts in just one minute. 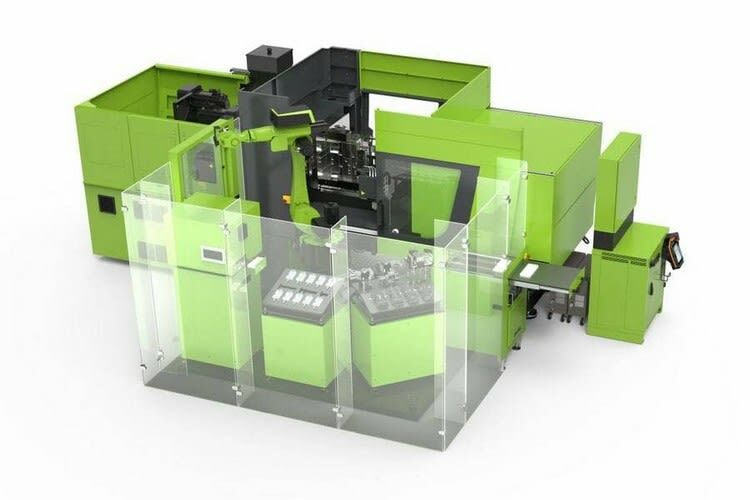 Therefore the Engel e-motion 170/120 TL injection moulding machine is equipped with a mould featuring the fast-switch mechanism patented by Braunform. The mould, built by Braunform, with its patented fast-switch mechanism supports product switchovers in just one minute. To make the potential of the new solution more tangible, the two geometrically different components of a calliper will be produced in rapid succession with a fast switch-over. After just ten shots, the injection moulding machine reports to the integrated Engel easix articulated robot that the batch is complete and unlocks the mould inserts. The robot first removes the last component that was produced, then changes the gripper and replaces the mould inserts. A complete changeover process from good part to good part production takes just one minute. authentig, the MES by Engel subsidiary T.I.G., ensures fast communication between the injection moulding machine and peripherals. Together with its partner TMA Automation, ENGEL develops highly flexible and, at the same time, extremely cost-effective production solutions for in-mould labelling. One of the challenges of this application is that the two components have different shot weights. However, in order to produce a good part with the first shot after the change, the injection moulding machine continuously self-optimises with the aid of three intelligent assistance systems from Engel's inject 4.0 programme. While iQ weight control readjusts the melt volume for each individual shot, iQ clamp control determines the optimum clamping force and adjusts to it automatically. iQ flow control automatically adjusts temperature differences in the cooling water manifold circuit based on the measured values determined by e flomo and adjusts the pump capacity at the e-temp temperature control units to match the current process conditions. The extremely compact design of the production cell at Plastpol is particularly eye-catching. The easix robot at the centre is responsible for the complete handling of the mould inserts and component parts, marking and assembling the injection moulded parts, and ejecting the callipers. The injection moulding machine, the station for the grippers and mould inserts, the laser printer, the assembly device and the conveyor unit are arranged in a star shape around the robot. 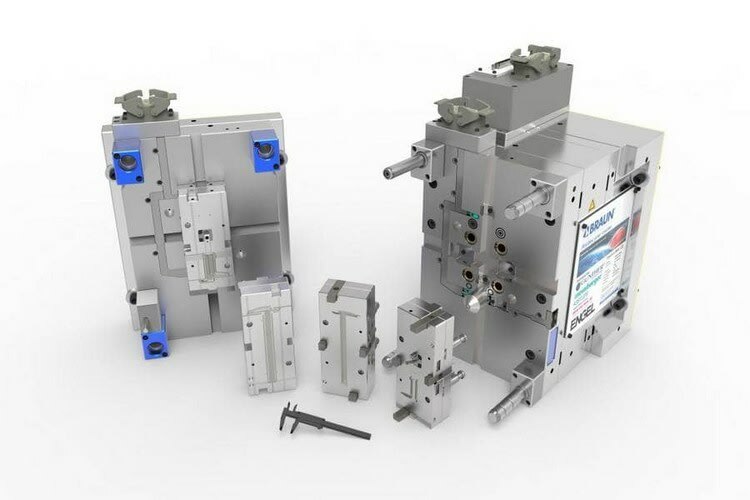 Among other things, the tie-bar-less clamping unit of the e motion TL injection moulding machine contributes to the space-saving arrangement of the individual components. Barrier-free access to the mould area makes it possible for the robot to move in very close to the clamping unit without restricting its motion. 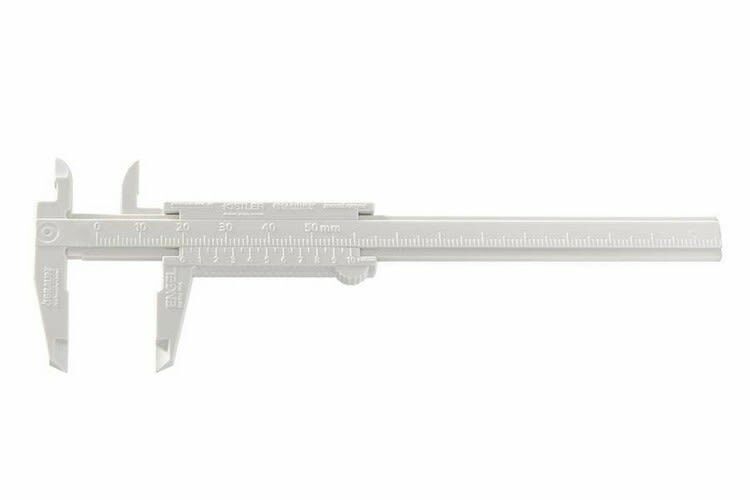 One of the challenges of this application is that the two part of the callipers have very different shot weights. During the four days of the fair, Engel will be demonstrating how IML concepts can also be implemented economically for small numbers with one-shot production of ready-for-sale decorated bucket lids. 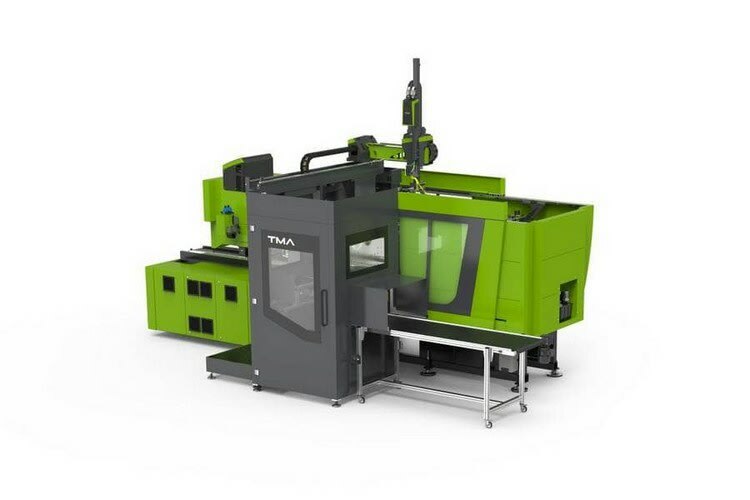 To do so, Engel will be combining an e-motion 740/220 injection moulding machine equipped with a viper 20 linear robot with an IML uni-LINE by TMA Automation, headquartered in Gdynia, Poland. The viper robot removes the label from the IML cell, places it in the mould of the injection moulding machine, simultaneously removes the last moulded finished part and transfers it back to the uni-LINE for ejection. Thanks to its standardised system concept, the compact IML cell is particularly easy to integrate. Within a very short time, the injection moulding machine can be flexibly converted for other tasks – with or without in-mould labelling. This means that IML is also shifting into the focus of process developers for applications outside of the high-speed field. TMA Automation specialises in the Automation of IML and downstream processes, such as assembly, quality assurance and palletising, outside of the high-speed field. As a general contractor, Engel handles coordination with the Automation partner for its customers and supplies the complete production cell from a single source. This also increases efficiency, as fewer interfaces often mean faster project planning. Producing flat seals and O-rings competitively - that is the strength of the Engel flexseal. 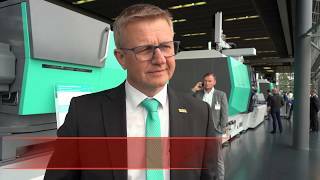 At Plastpol, the particularly compact servohydraulic injection moulding machine will show that it combines top efficiency with performance and precision also in multi-component processes using elastomers and thermoplastics. On an Engel flexseal 500/300 with a clamping force of 3000 kN, PBT inserts will be over-moulded with solid silicone (HTV) and the two-component membranes tested for quality inline immediately after production with the help of a vision control system. Engel supplies the complete integrated systems solution necessary for this process. The partners are material manufacturer Mesgo (Gorlago, Italy), mould makers ORP Stampi (Viadanica, Italy) and Giasini (Grassobbio, Italy) as well as Proplast Plastic Innovation Pole (Rivalta Scrivia, Italy), who are responsible for the CAD design. The flexseal injection moulding machine makes mass production of O-rings and flat seals particularly economical – also with inserts. The roto feeder developed and produced by Engel is used for material feed. Its rotating hopper with counter-rotating screw transports the solid silicone continuously at a constant pressure and free from bubbles, thereby ensuring a very high level of process security and stability. An Engel easix articulated robot equipped with an anyfeeder from Asyril (Villaz-St-Pierre, Switzerland) sees to parts handling. The flexseal injection moulding machine was adapted specifically to the requirements of manufacturers of O-rings and flat seals. It is suitable for all standard rubber mixtures and silicones and, thanks to the horizontal machine concept with screw injection unit, ensures very high manufacturing precision with the small to mid-sized shot volumes these applications require. The flexseal enables fully automatic processing with conventional brushing devices.